Cinema Treasurers indicates there are 204 theaters in the United States named “Bijou.” Twenty-two of them are still open and 182 are now closed. [i] Consequently, determining which of the many Bijou theatres Donna played at and when will be a challenge, but here goes. Bijou Monday, Tuesday, & Wednesday – California Bathing Girls. Write-up Donna Montran and Her Bathing Beauties – in a Beach Promenade in Six Gasps and Three Shocks. Also playing was Geo. Walsh in The Plunger. Bo-peep and Jack Horner – Harry Sykes. I recalled seeing Donna Playing with “The Plunger” previously. I wrote about it in “Donna at the Bijou – New Haven, CT – Donna Darling Collection – Part 8. She played there sometime in November or December 1920. I searched the James Blackstone Memorial Library for New Haven newspapers for Bijou and was not successful finding a match. 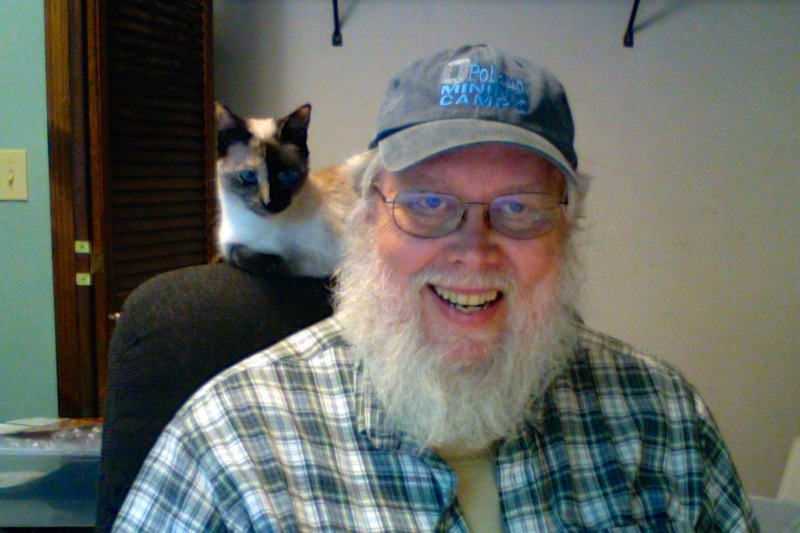 Coming – Thur.—Fri. – Sat. 5 big acts direct from the Broadway Theaters. Another headline says “[F]ive Clever Acts at Bijou… Week’s beginning – [Da]rling revue is Feature of Second Half. In so far as Darling beans beloved, a pet and a favorite, the attractive young person called Donna Darling has been well named. She has been a beloved favorite of theater-goers in musical comedy ??? in vaudeville, and well she sl?????? Be as she has all of those things which go to make a theatrical popularity. She is pretty to the extreme that not long ago she won first prize in a beauty contest. She has ability which is proven by the fact that she was the prima donna in the spectacular production “Chin Chin” and one of the Vitagraph screen Stars. Miss Darling believes in be timely and so for her present sojourn in vaudeville she presents a revue – The Donna Darling Revue. This is described as a Dazzling Fantasy. Featured in the company is Sammy Clark, a juvenile comedian of repute. The company, including Miss Darling, is a trio—three clever versatile artists who work with unction to put over this new act of hers and they succeed in making it everything this type of entertainment is supposed to be. The venue is the Bijou Theatre. The show is the “Donna Darling Revue” with Sammy Clark. The location is Savannah—probably Savannah, GA. The show ran Thursday, Friday, and Saturday. The Donna Darling Revue with Sammy Clark was one of the last shows that she did. 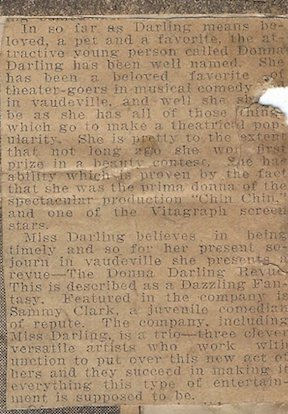 We know she was doing “Donna Darling and Girls” in September 1925 and was doing the Donna Darling Revue in 1926. 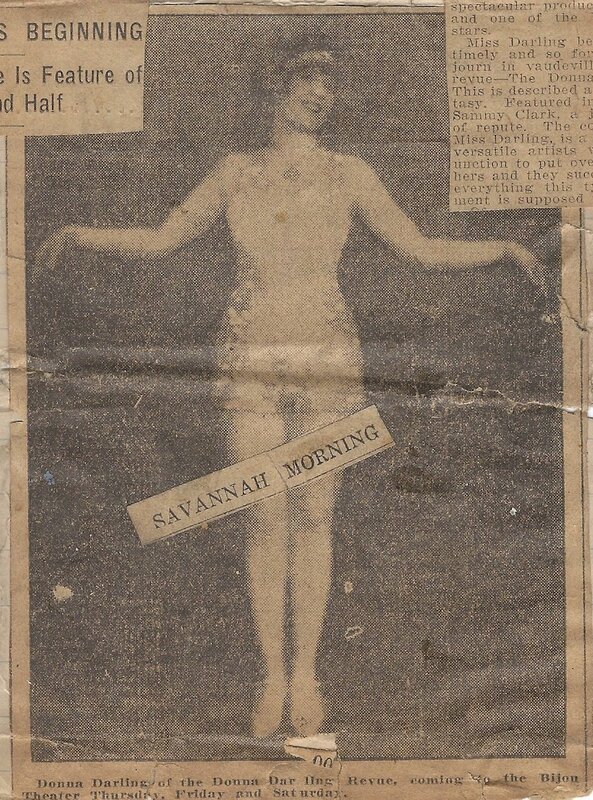 By June 1927, she was doing Modern Vaudeville Frolics. From that, I surmise that this show was sometime between September 1925 and June 1927. This is a small ad showing Donna Darling, a Mack Sennett Prize Winner, in a tidal wave of unique dancing, blue singing, clean comedy. Everything about this ad indicates it is a smaller version of DDC Bijou Image 5. I will address this image with image 5 below. Billy De Armo – Comedy Novelty. Event found – Need to document – See below. Alyce Louyse – Hawaiian Dancer and Bather from Mars. 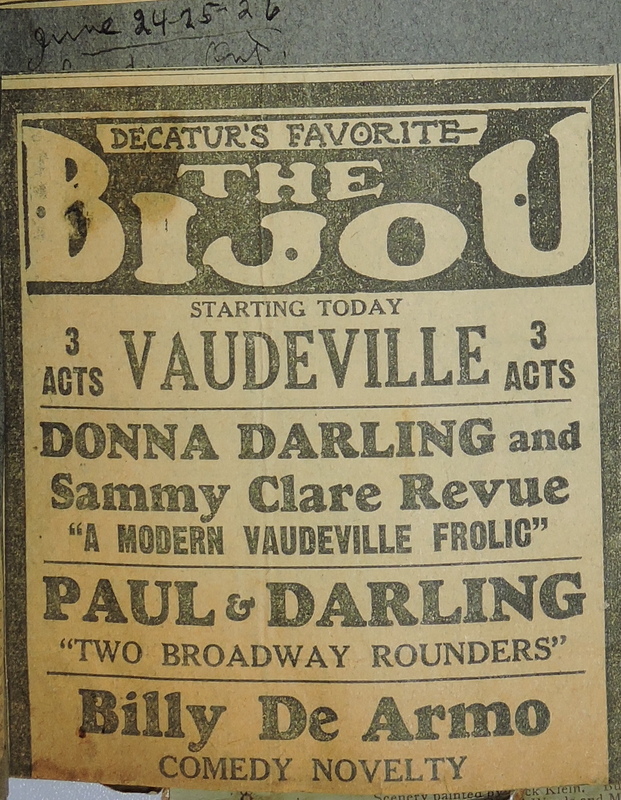 Again, the Donna Darling Collection provided insights into Donna’s vaudeville career. With the Bijou pages, I gained additional information regarding three of her venues. I also learned of a show she did in Savannah that was heretofore unknown. Future Article: Donna at the Bijou in New Haven, CT, Nov/Dec 1920 – California Bathing Girls. 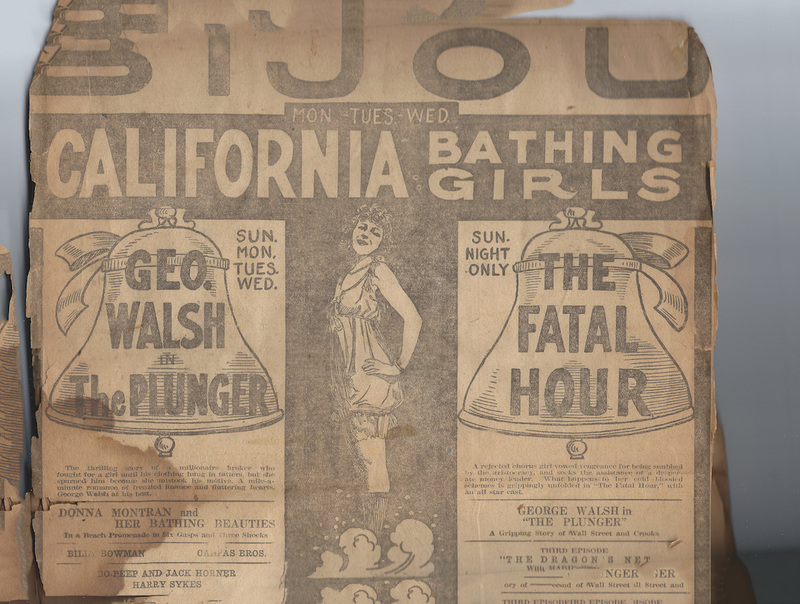 Future Article – Donna at the Bijou in Decatur, IL on January 25, 1925 – California Bathing Beauties – Donna Darling. 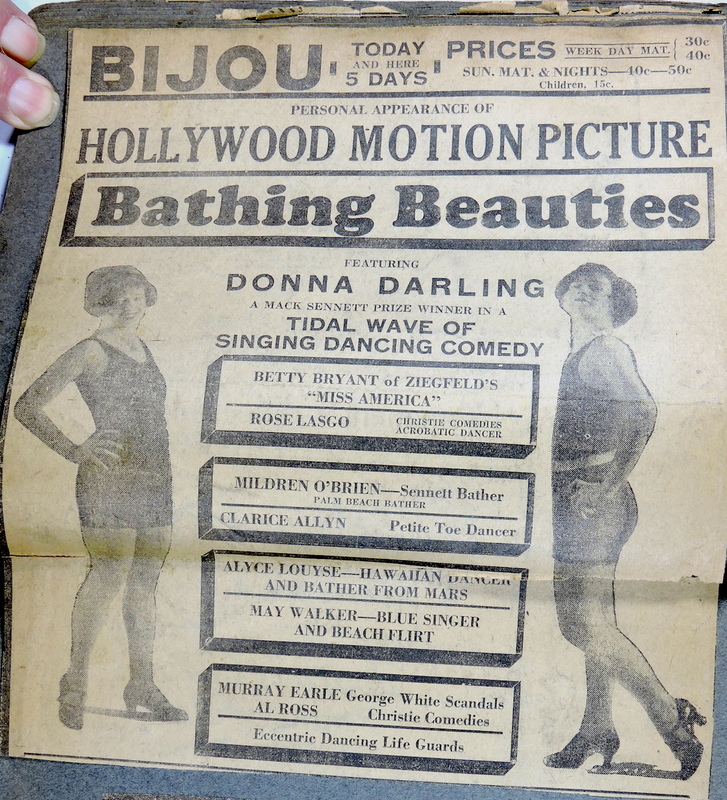 This week’s Treasure Chest Thursday is clipping regarding Donna and her Bathing Beauties playing at the Bijou. The accompanying clipping indicates that the article was in “THE NEW HAVEN JOU,” so it appears to be the Bijou of New Haven, Connecticut. A quick check of Cinema Treasures indicated that there was a Bijou Theater in New Haven at that time. The next question is when did she play there. There is no date with the clipping. A search of the newspapers available online did not provide any help. However, IMDb to the rescue. They indicate the movie was released on 7 November 1920. Consequently, I would expect that this showing would have occurred sometime within two months of the release date. We also know that Donna played in Bridgeport, CT on December 29th & 30th and possibly on December 20th. With that in mind, it fits that Donna and her Bathing Beauties played the Bijou in New Haven, CT sometime in November or December, 1920. All attendance records were broken at the Bijou theater yesterday during the initial appearance of that bib combined all star vaudeville and moving picture bill, which is headed by Donna Montran and Her Bathing Beauties, and George Walsh in “The Plunger.” There isn’t a dull moment on the bill and yesterday’s audiences showed their appreciation by prolonged applause throughout the entire performance. Donna Montran and Her Bathing Beauties lived up to all the good things that had been said about them and presented a production that was a delight to the eye. Katheyn Arnold and George L. Cohan. Unknown Date: [Nov-Dec] 1920 – New Haven, CT – Bijou – Donna Montran and Her Bathing Beauties. IMDb – The Plunger Release Date: 7 November 1920.